The Quebec Question, nominated in the graphic/illustration category. The Canadian University Press released the list of nominees for its annual John H. MacDonald Journalism Awards this week, lovingly known as the Johnnies. Out of the eleven categories The Link was eligible in, it picked up eight nominations for excellence in student journalism, edging out the University of British Columbia’s The Ubyssey, which had seven, for most nominations among Canadian student newspapers. A total of 13 papers across the country garnered nominations, with six netting at least two nods, including Sir Wilfrid Laurier’s The Cord with four, and the University of Alberta’s The Gateway with two. Along with The Link, two other Montreal-based papers had impressive showings this year, as McGill’s The Daily picked up five nominations, while McGill’s French-language newspaper, Le Délit swept the six nominations in the two French writing categories that were announced, French News Writing and French Arts Writing. The nominations for a third French category, French Features Writing, are set to be revealed at the JHM Awards Gala, which takes place Jan. 12 in Toronto. Published online on June 8, this article by The Link ’s Coordinating Editor filed a special report from Jonquière, examining what the student movement looked like outside of Quebec’s two major metropolises as the printemps érable slowly slid into summer. This Nov. 28 concert preview interview pitted Harris against one of the greats, Montreal’s doo-wop punk master King Khan, and the result is a lengthy conversation that covers everything from Indian food to graveyards to astrology to SpongeBob Squarepants. The piece ends up as an embodiment of Khan’s musical modus operandi: “I just throw everything in a pot and see what happens,” and it turns out, well, deliciously. The Link ’ s trans columnist took Concordia to task in this Oct. 1 article, demanding to know why more noise and progress hadn’t been made in the past few years when it came to gender-neutral bathrooms at the university. The topic that had seen some interest on the part of the student union in 2010, prompting a Link editorial, but had stalled in the years since. Another of Oliver’s articles up for a Johnnie, this was the third entry of the “That Transsexual Guy” column from back in November 2011. The article discuses how every space is gendered, and how acutely aware trans* people are of this. With the clock ticking on The Link ’s first issue back after the summer of 2012, Graphics Editor Paku Daoust-Cloutier was having trouble coming up with an idea that could sum up the cover spread: two opinions pieces on the upcoming provincial election in Quebec. 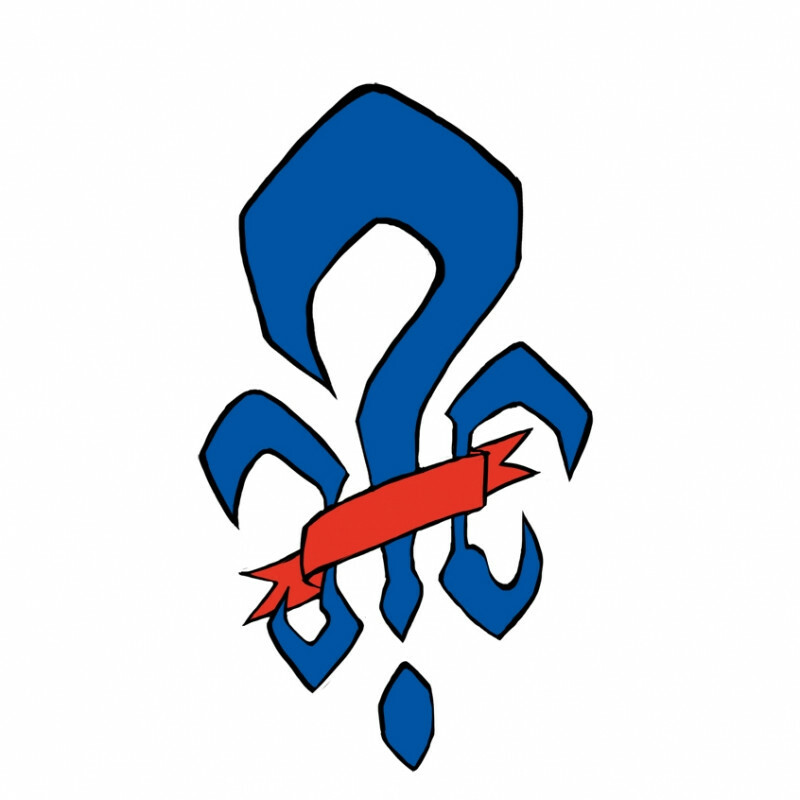 Copy Editor Alex Manley, a former graphics contributor himself, grabbed a pen and churned out a hasty sketch: the Quebec fleur-de-lys as a stylized question mark. Quickly, Daoust-Cloutier scanned the drawing, retraced it on his tablet, and coloured it in—and the stories were set. It’s something of a tradition at this point for Link staff to get arrested at the annual Anti-Police Brutality marches that take place in March in Montreal, as the past four years have seen seven masthead members and contributors cuffed in mass round-ups by the Société de police de la Ville de Montréal while trying to get the story. While The Link ’s Community Editor, Sam Slotnick, was arrested two years ago as a contributor, this year he stayed out of trouble and snapped this photo of a group of masked protesters getting into an altercation with a passerby as the march turned violent. Over the summer, The Link began to hear murmurs that something wasn’t right when it came to Concordia’s recruitment of Chinese students. There were stories of cash-only payments, shady recruiters, unwelcoming homestay operators. Students were being malnourished and their complaints weren’t being heard. News Editor Corey Pool entrusted Link staff writer and former photo editor Riley Sparks with the story, which had him interviewing Chinese students, employees of Concordia’s Housing and Job Bank, the Concordia Student Union and Concordia’s official spokesperson for weeks as he tried to track down all the details. The final product, The Link ’s Sept. 25 cover story, caused a serious stir at Concordia and prompted the university to promise to contact all of its Chinese students by phone to ensure their living conditions were satisfactory. Another piece by Sparks, this March 27 feature took at look at Concordia’s relationships with a number of its unions, exposing a lack of trust, years of stalled negotiations and general feelings of animus and disappointment on the part of many of its labour forces. We wish our writers luck at the Johnnies!